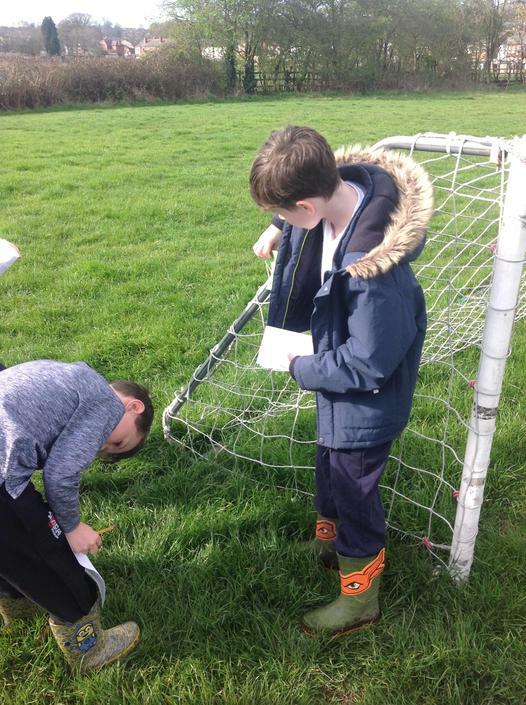 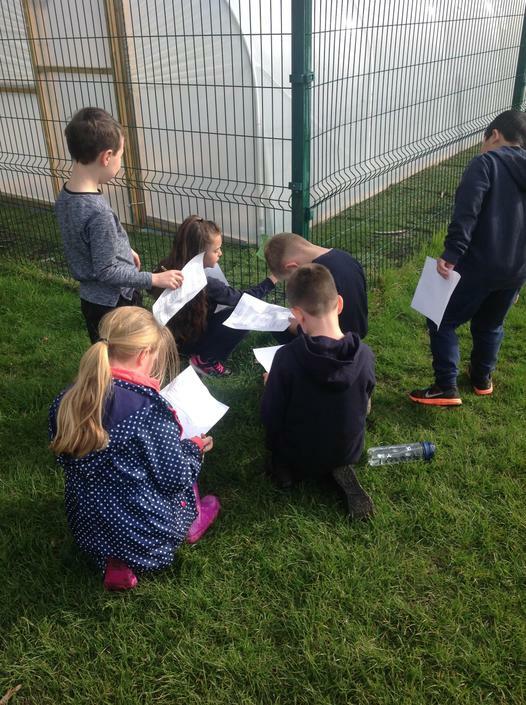 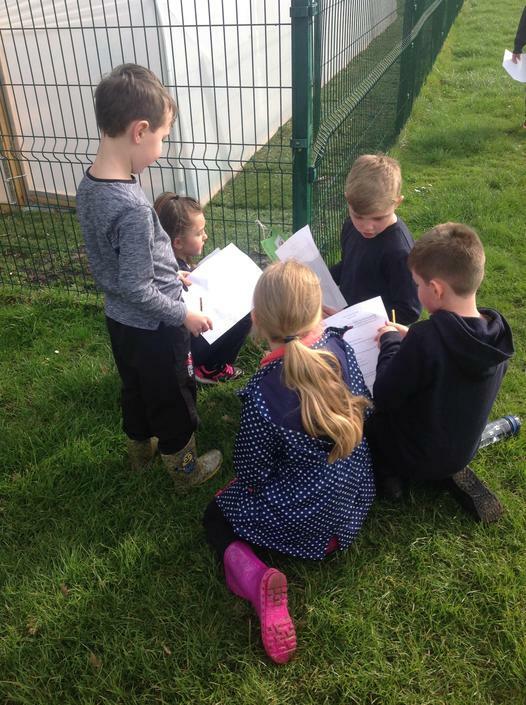 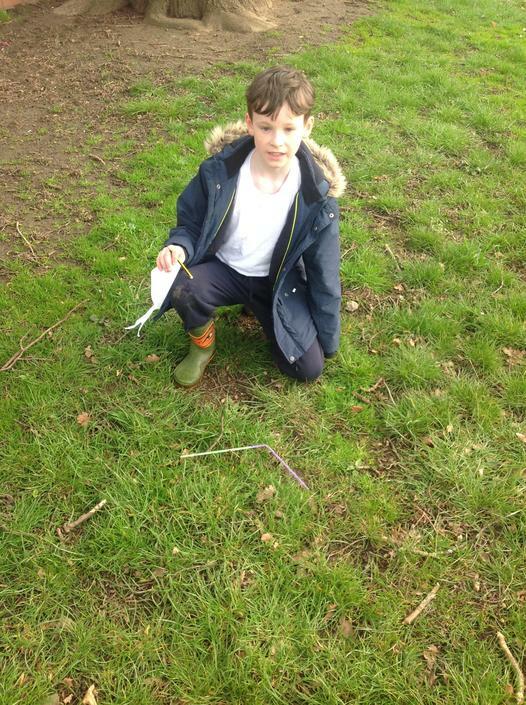 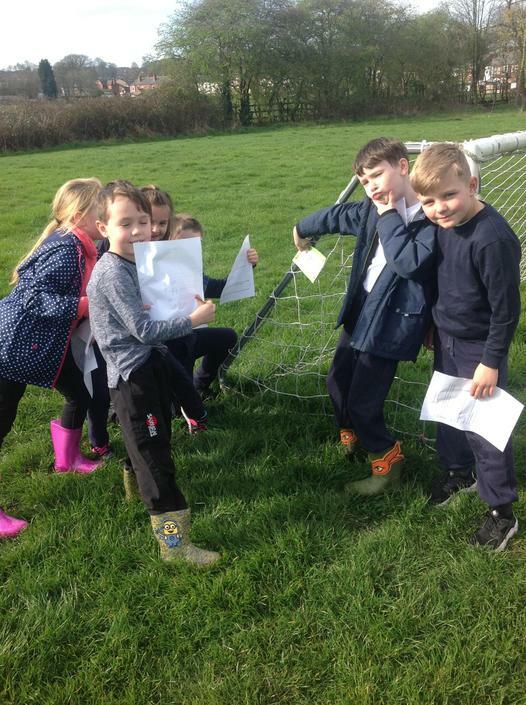 With Mrs Shaw, Class 3 spent a morning working together in small groups to search out the clues which had been spread around the school field. 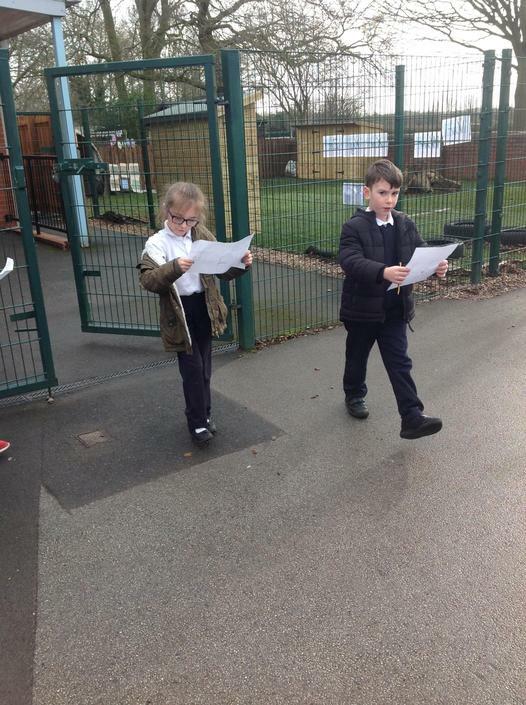 Once discovered, the children then had to write down the words which would have to be re-arranged to give a specific sentence and spoken to either Mrs Shaw or Mr Whipp. 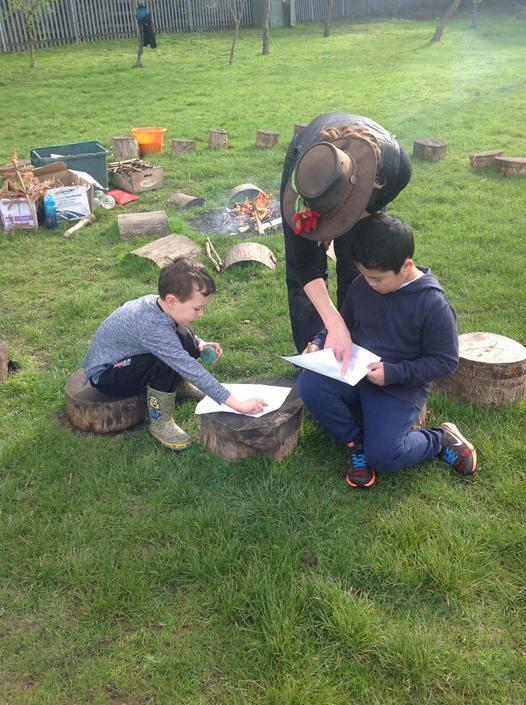 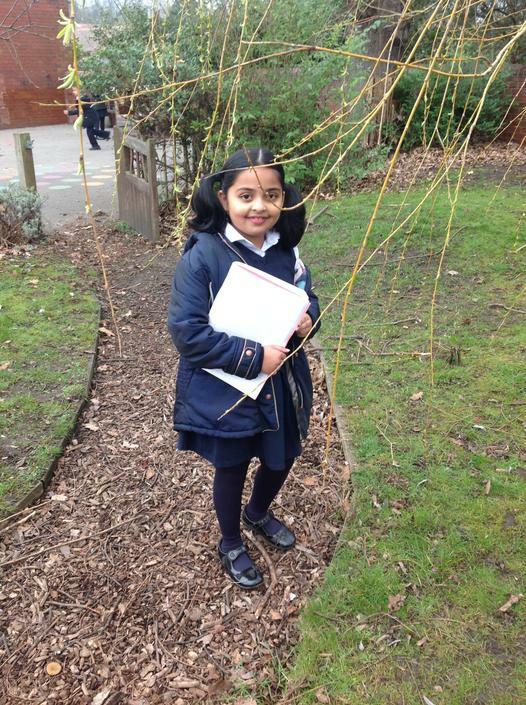 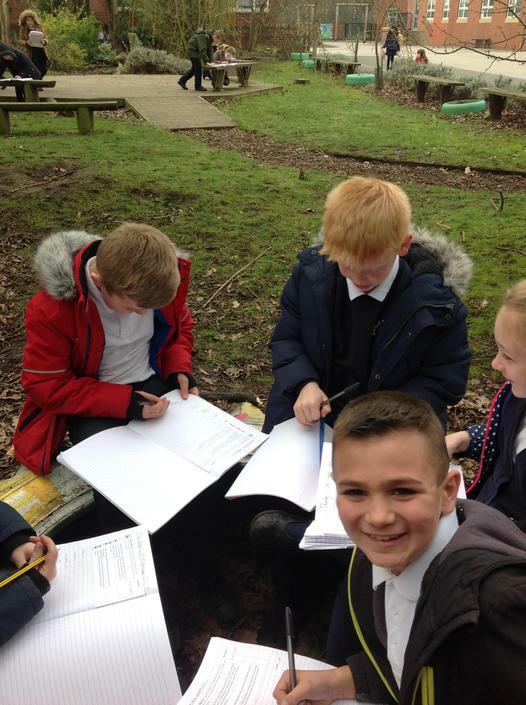 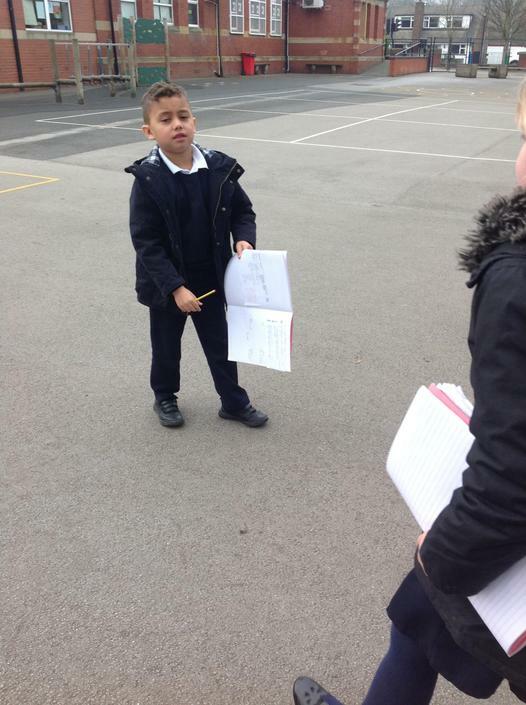 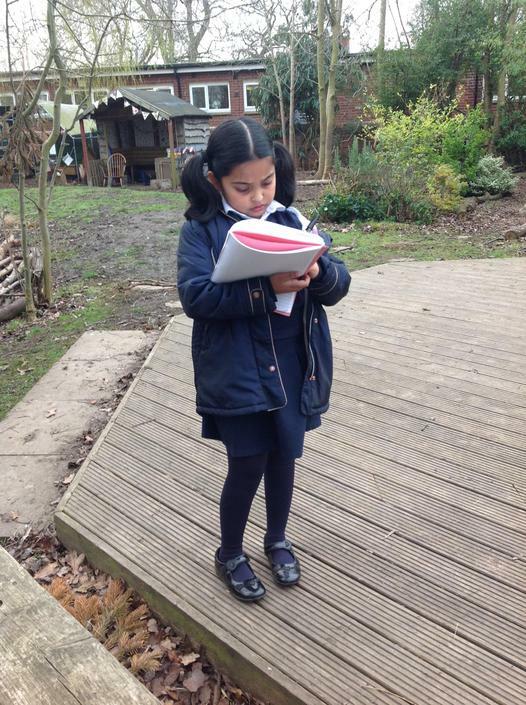 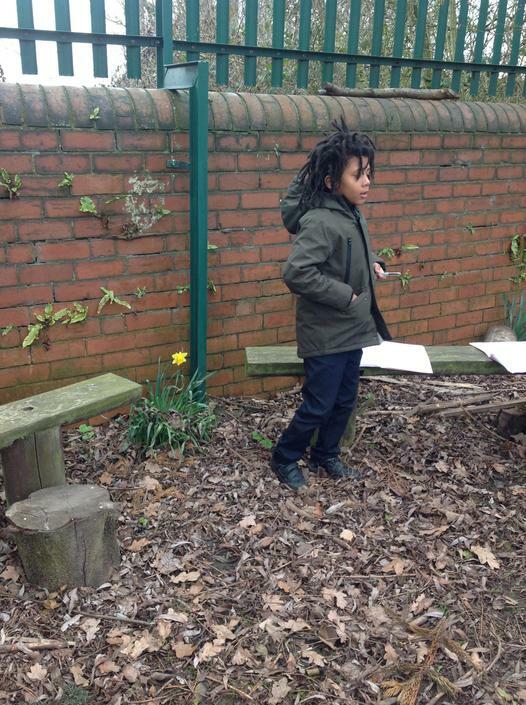 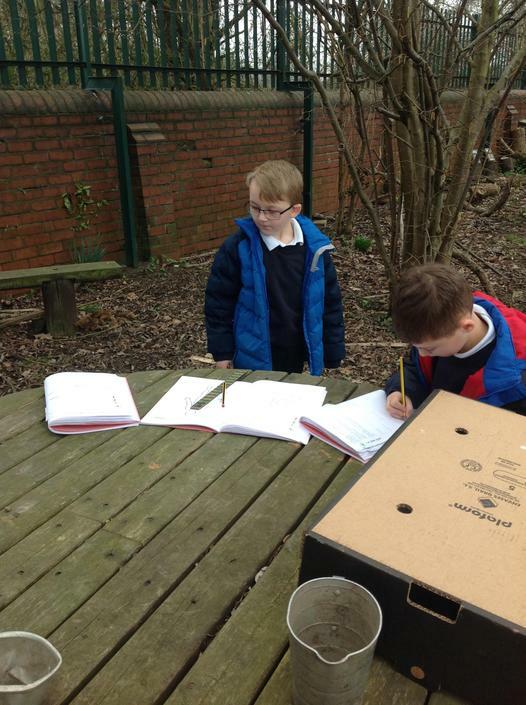 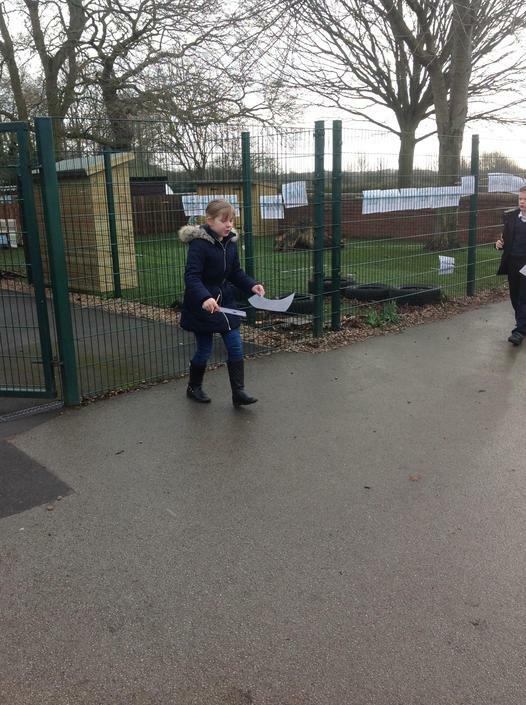 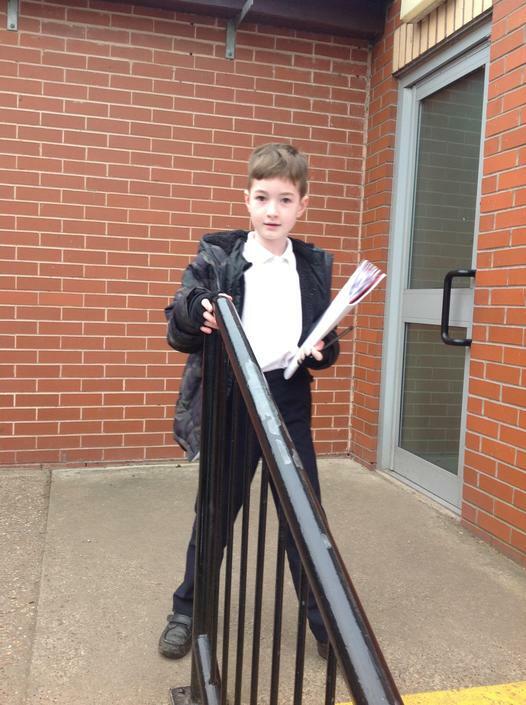 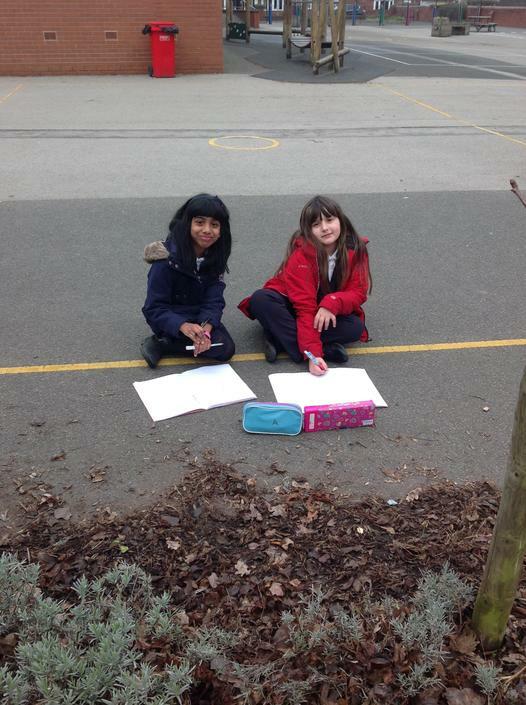 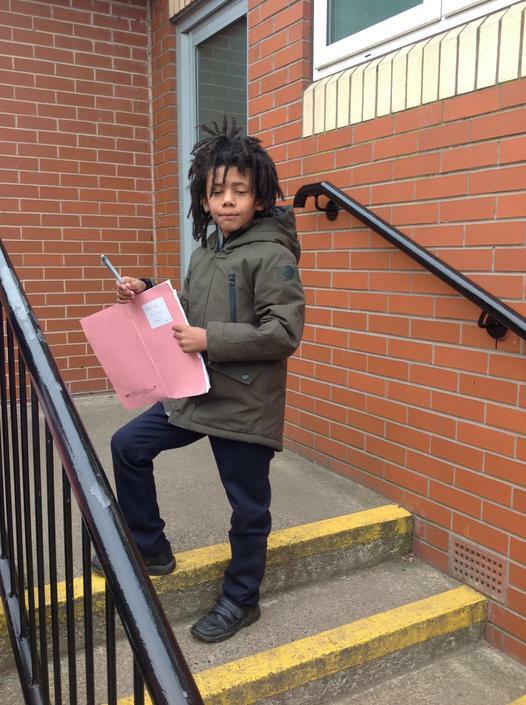 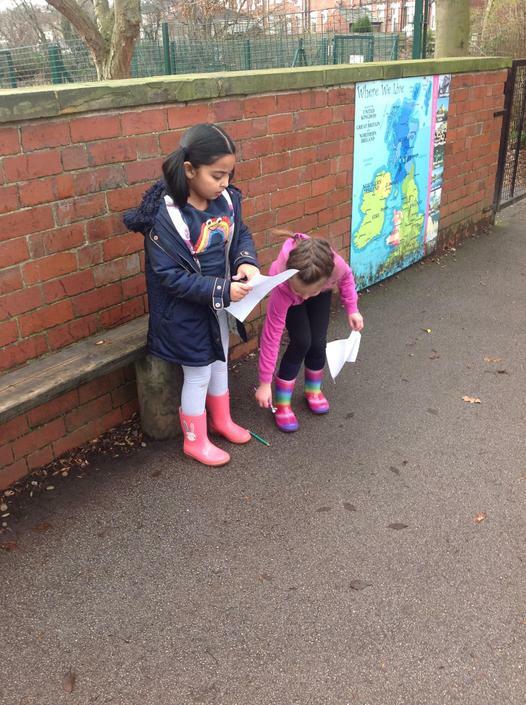 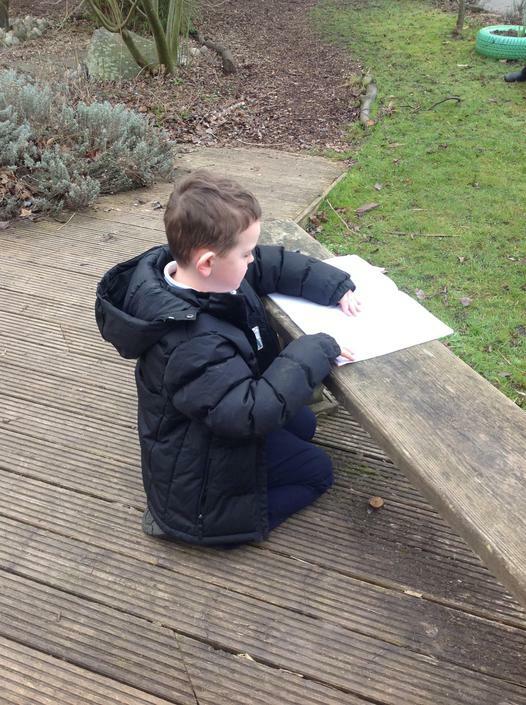 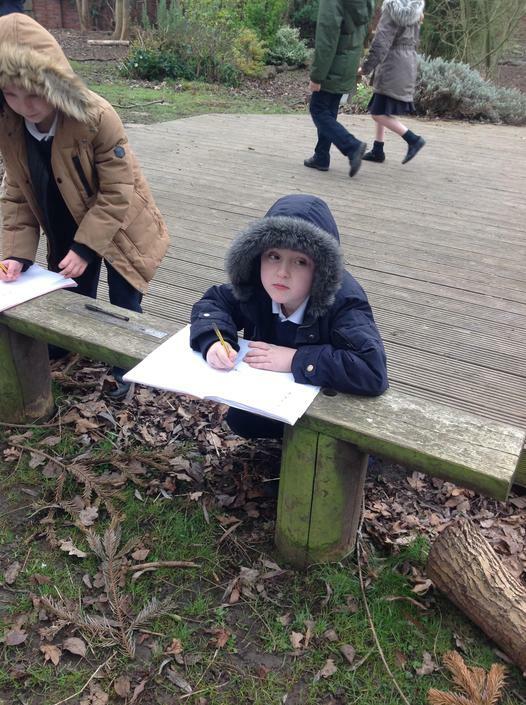 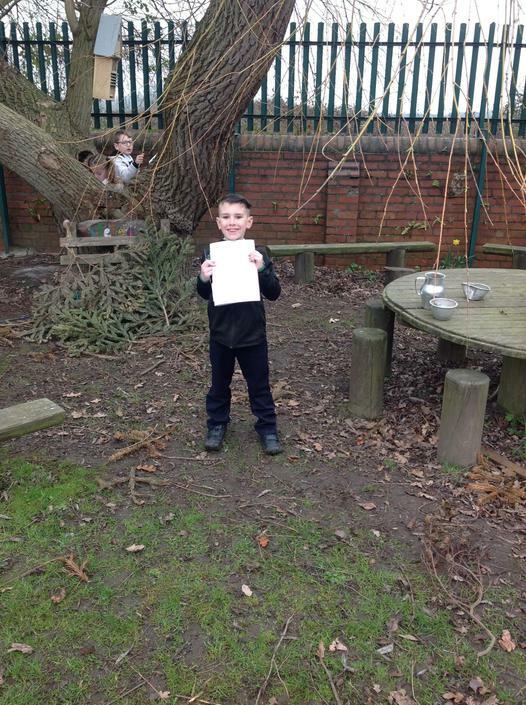 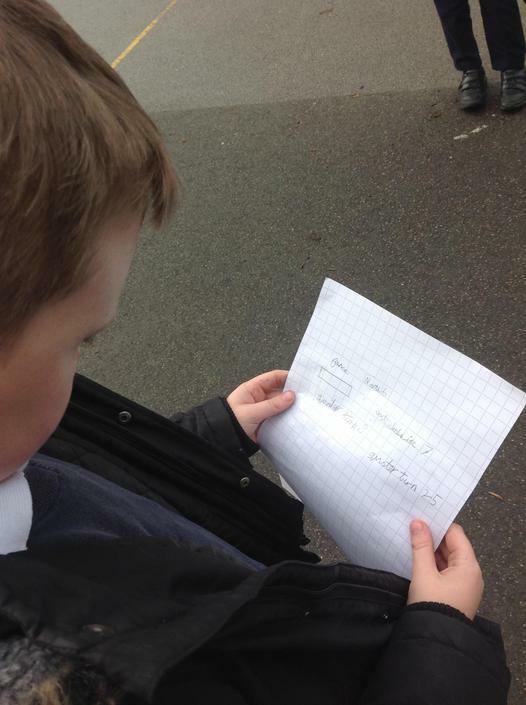 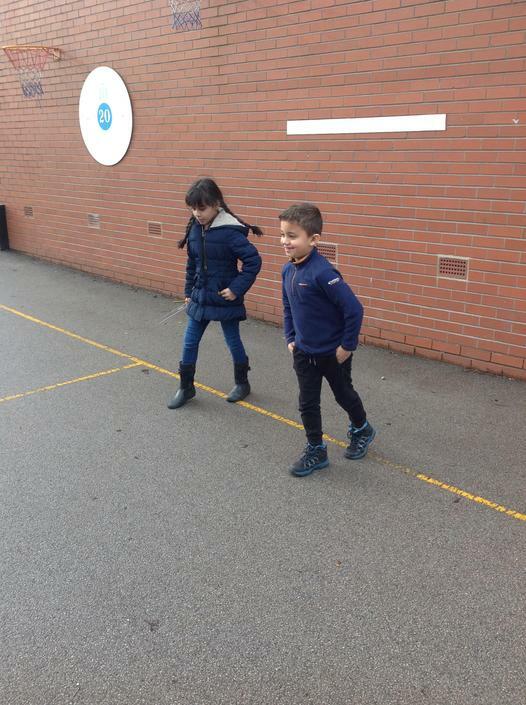 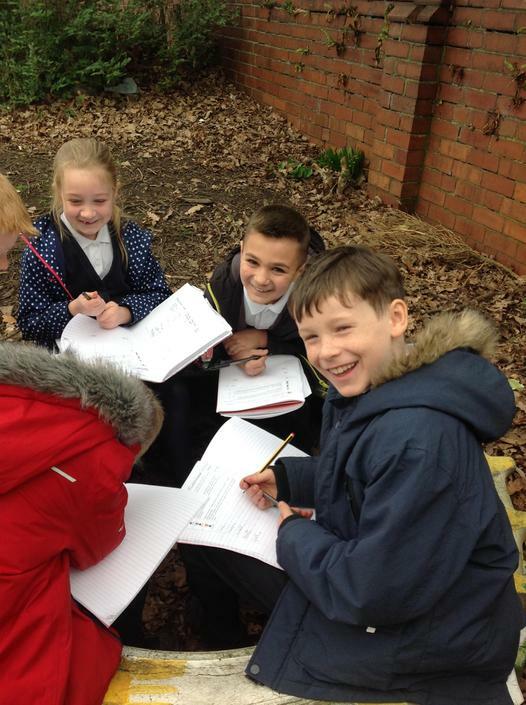 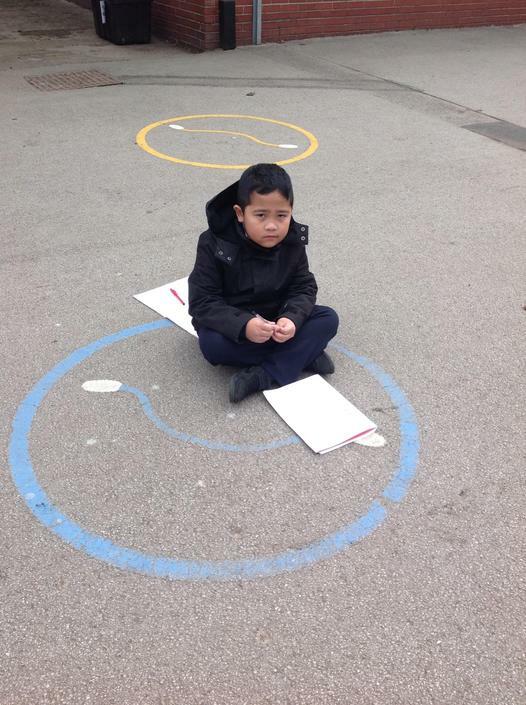 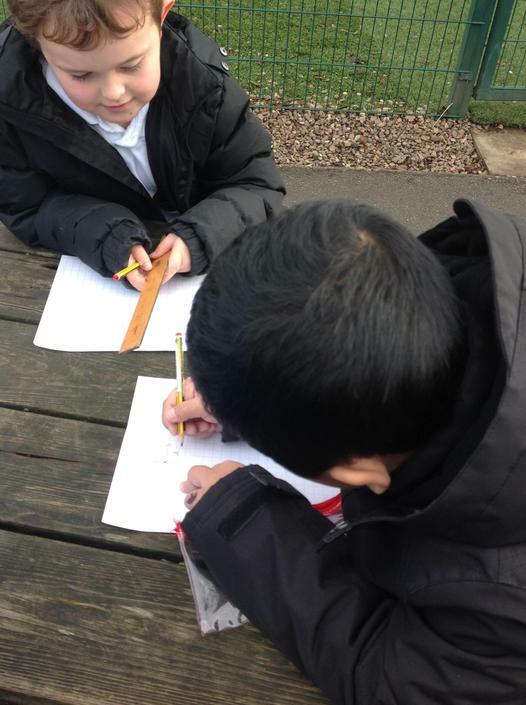 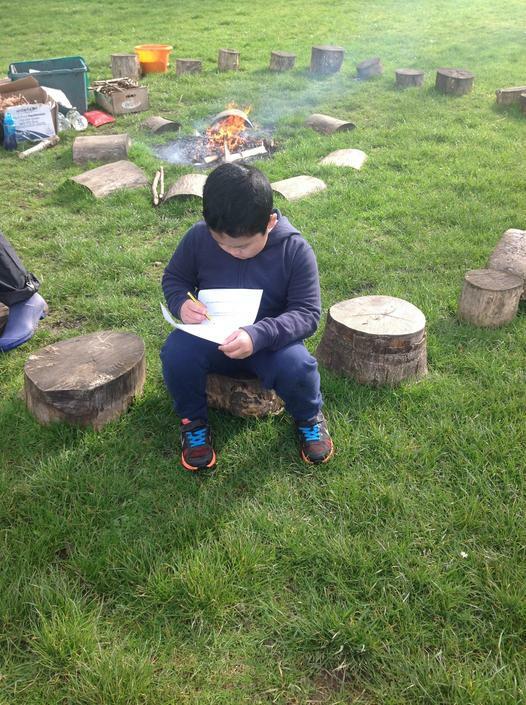 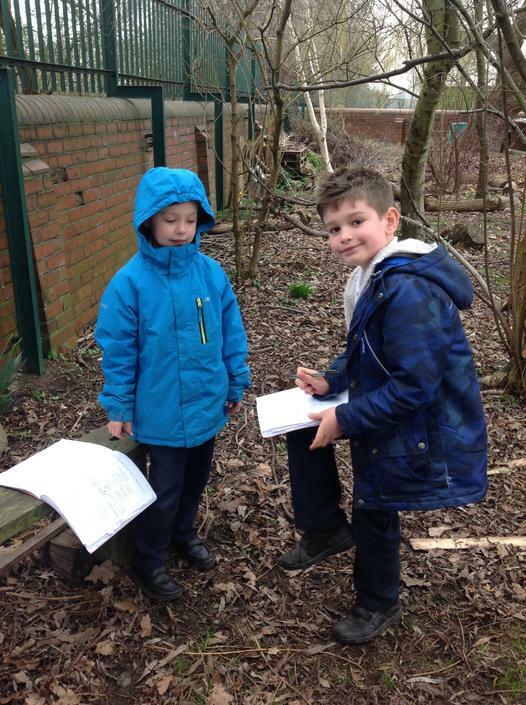 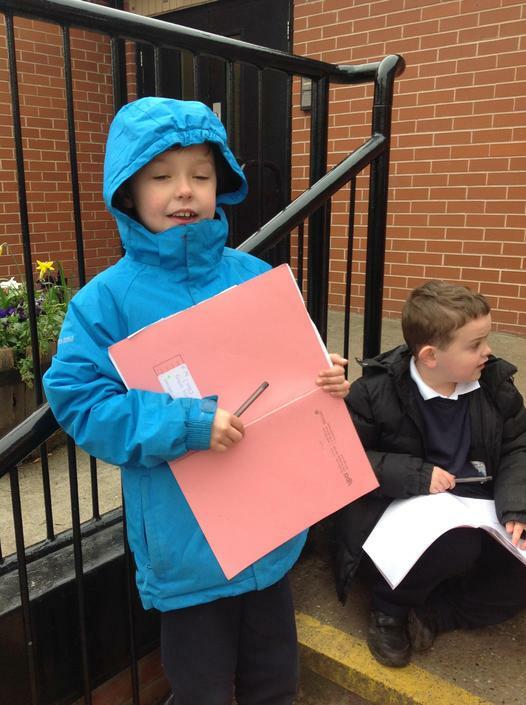 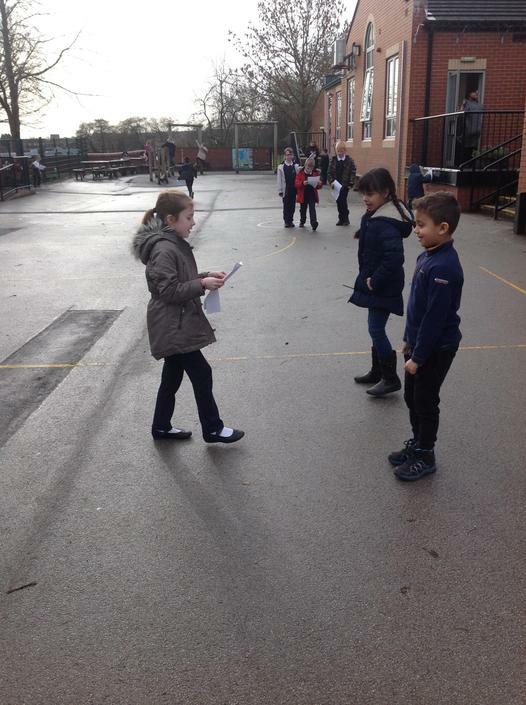 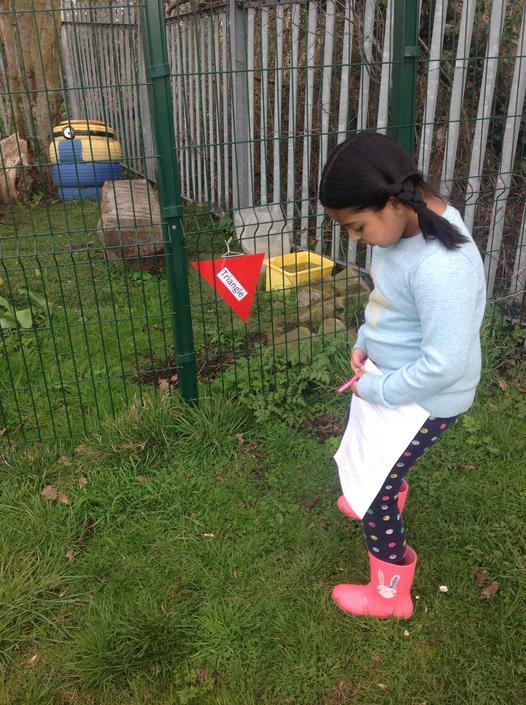 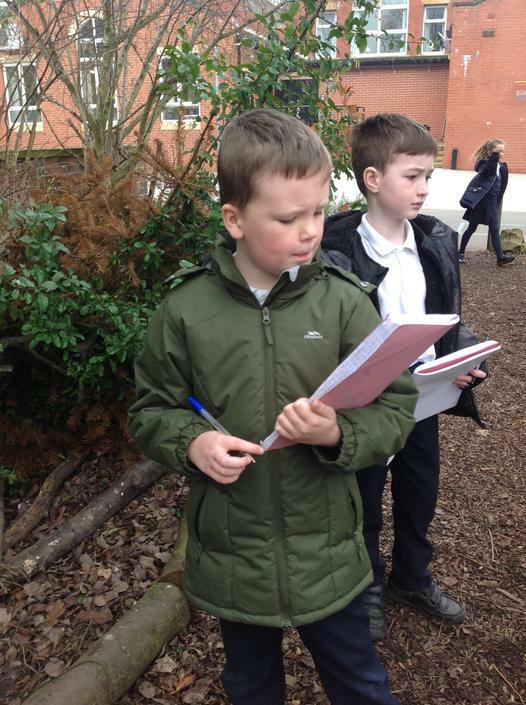 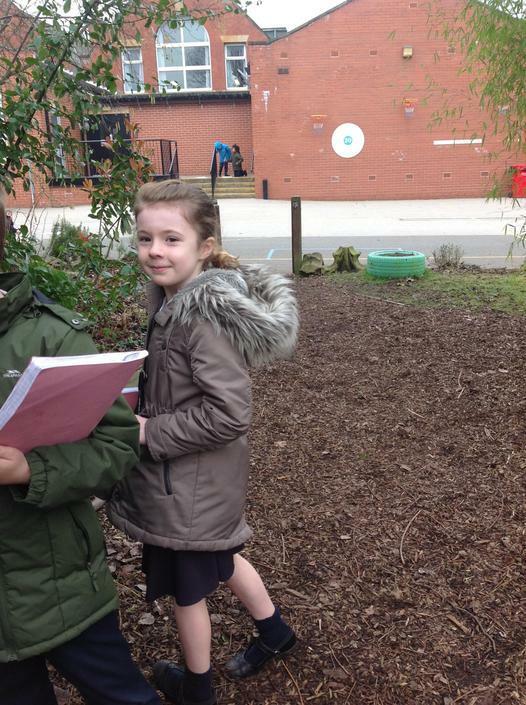 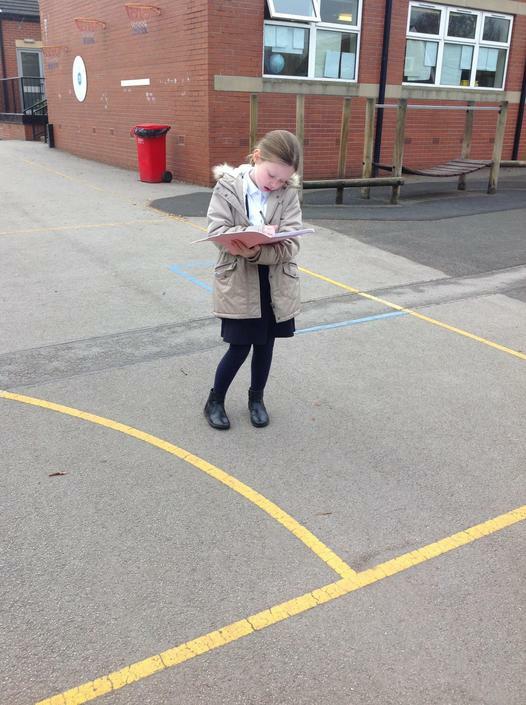 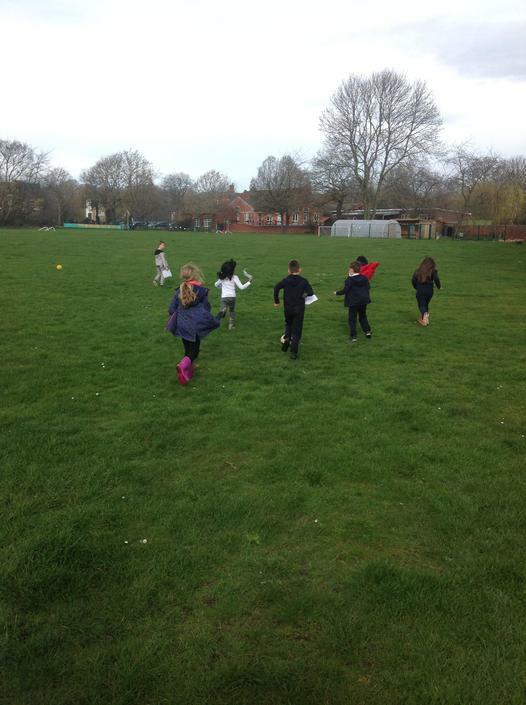 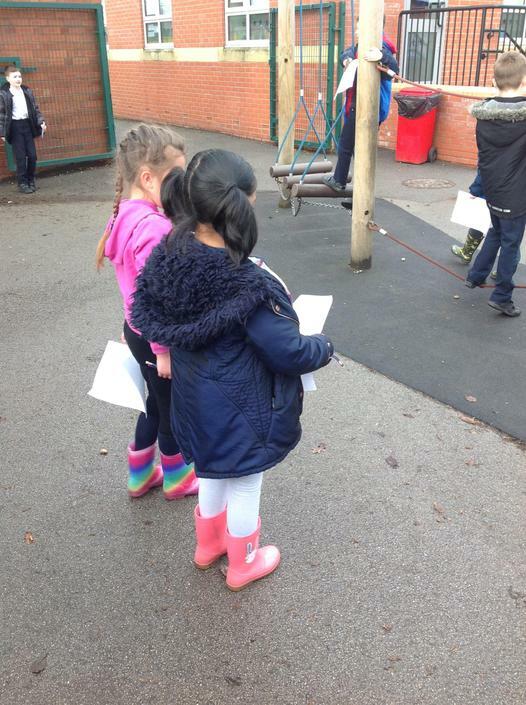 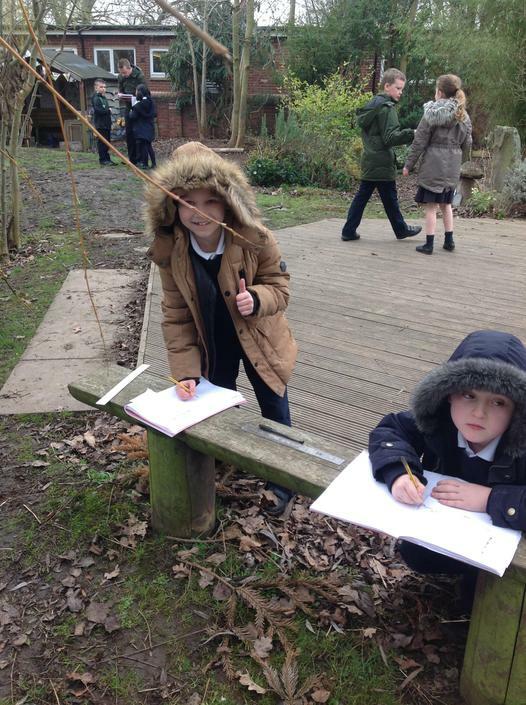 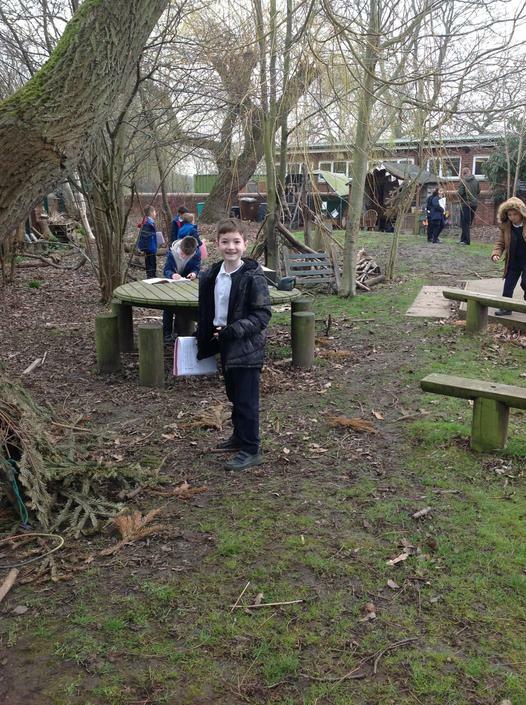 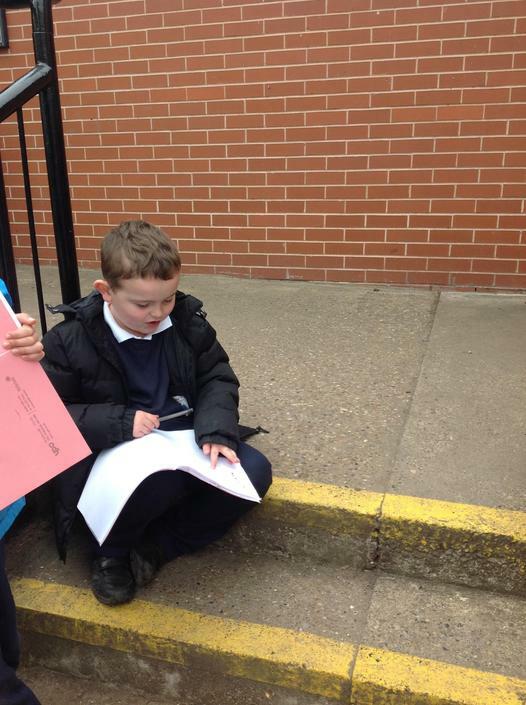 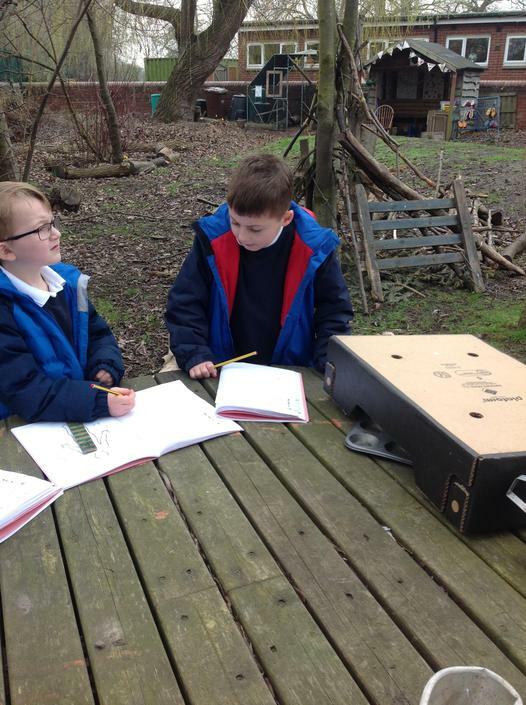 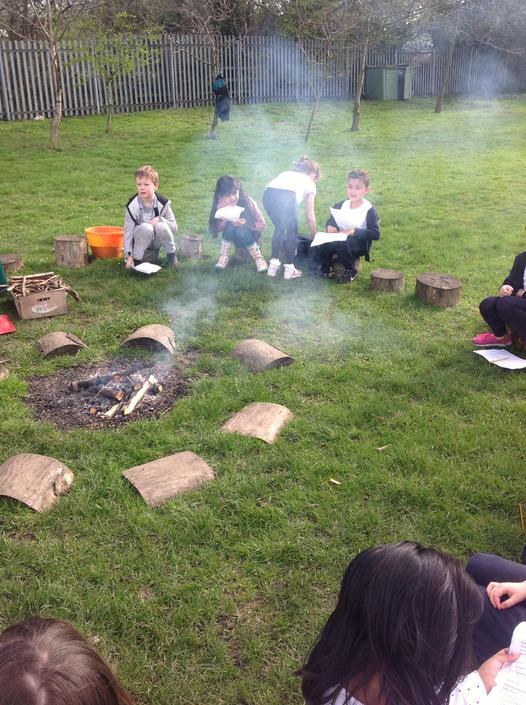 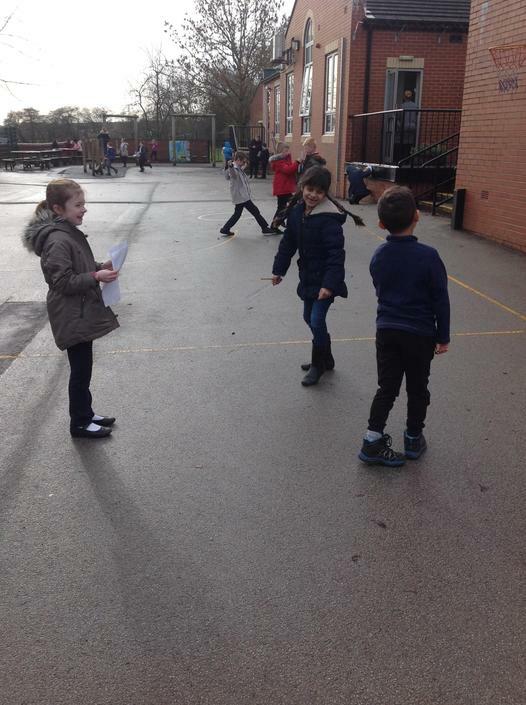 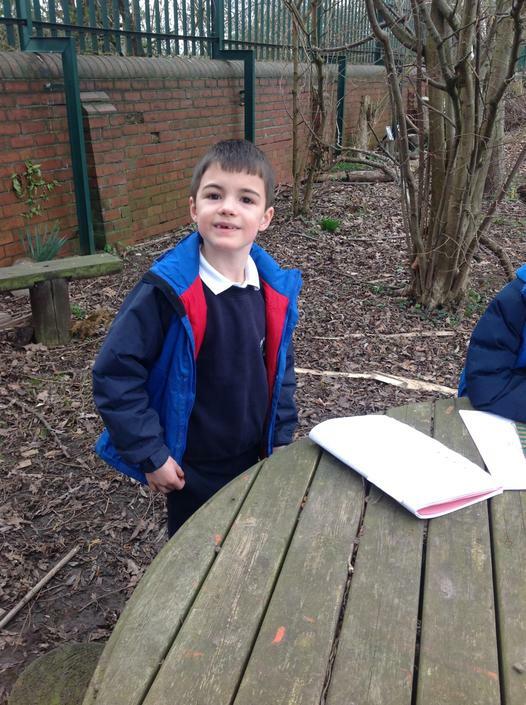 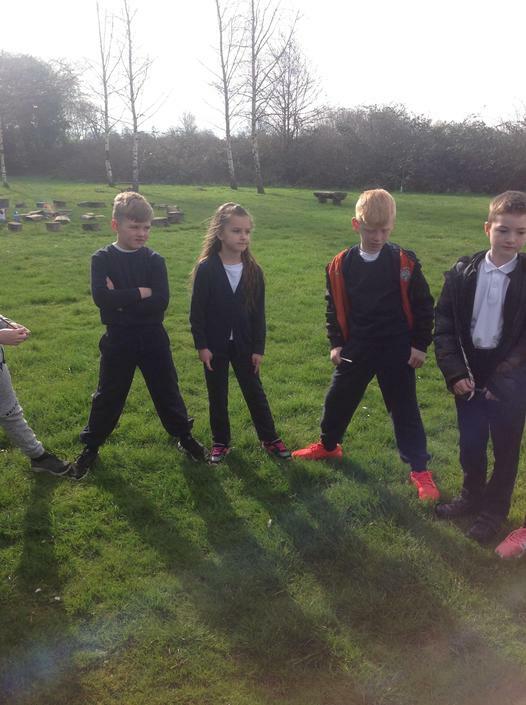 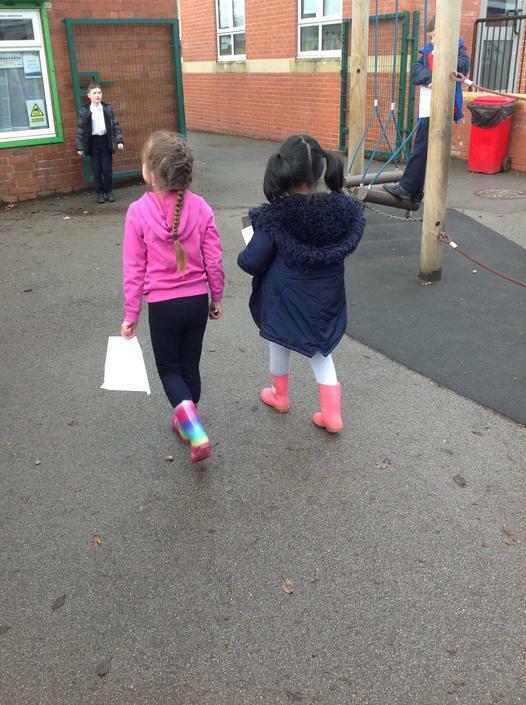 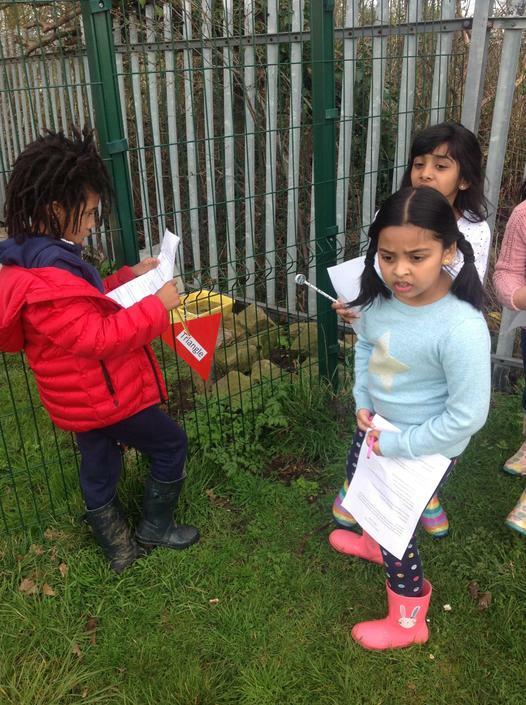 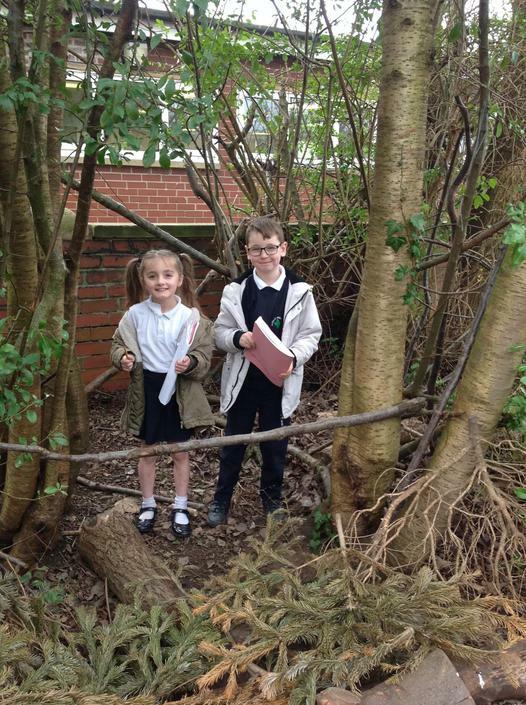 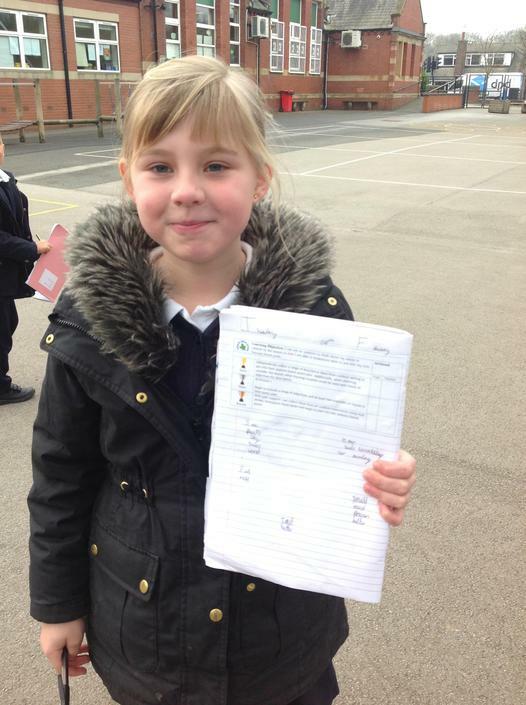 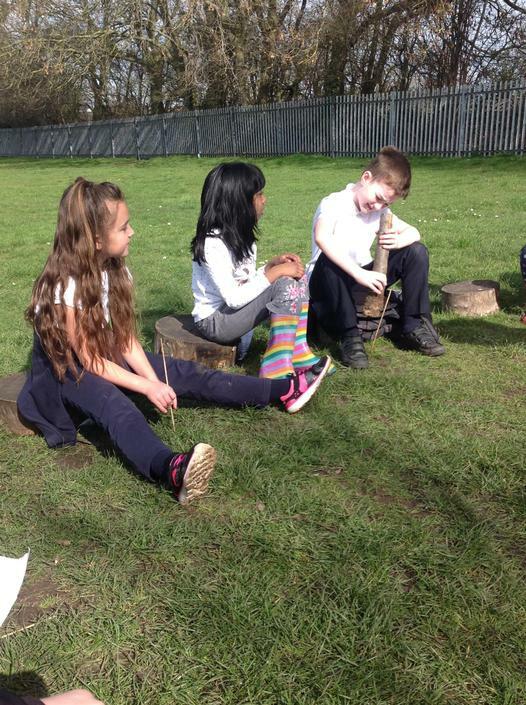 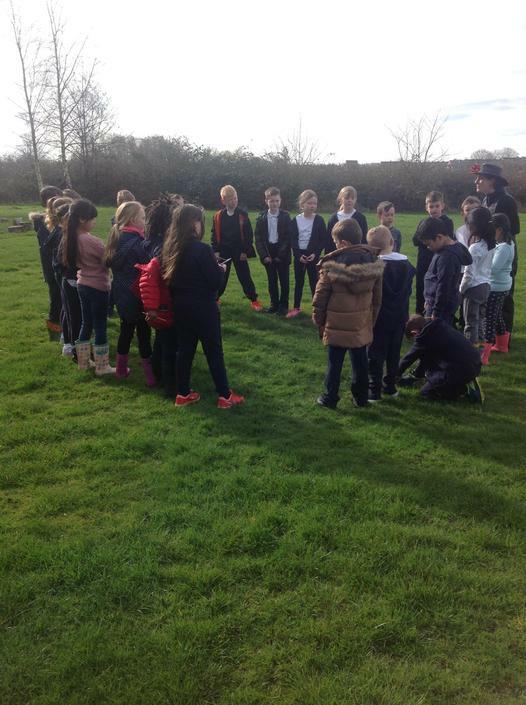 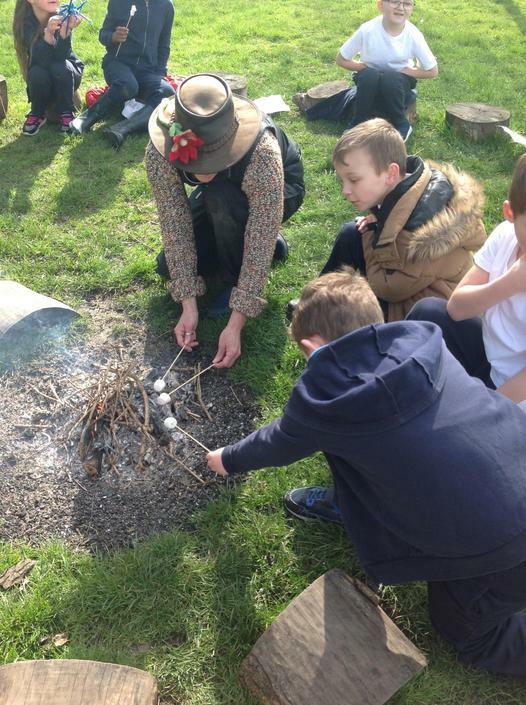 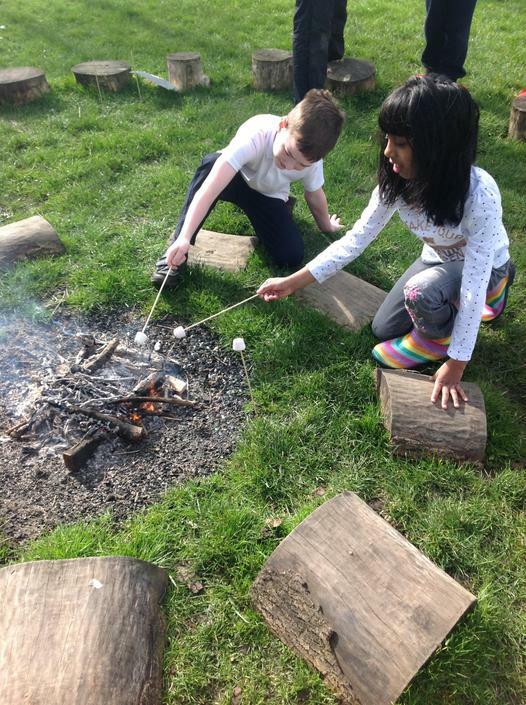 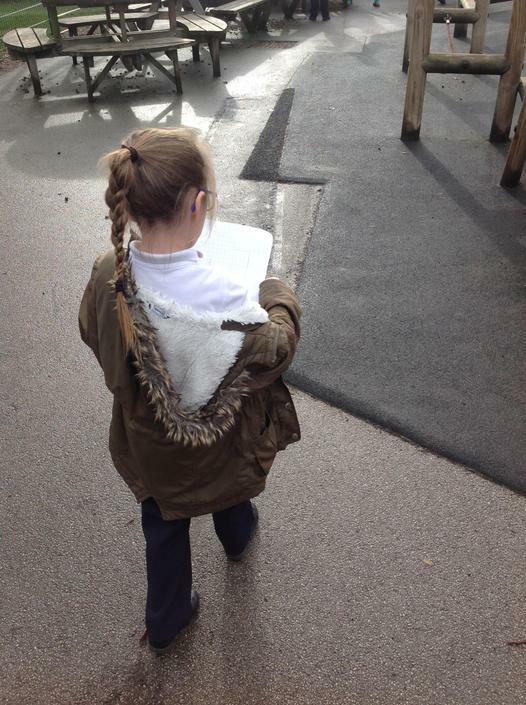 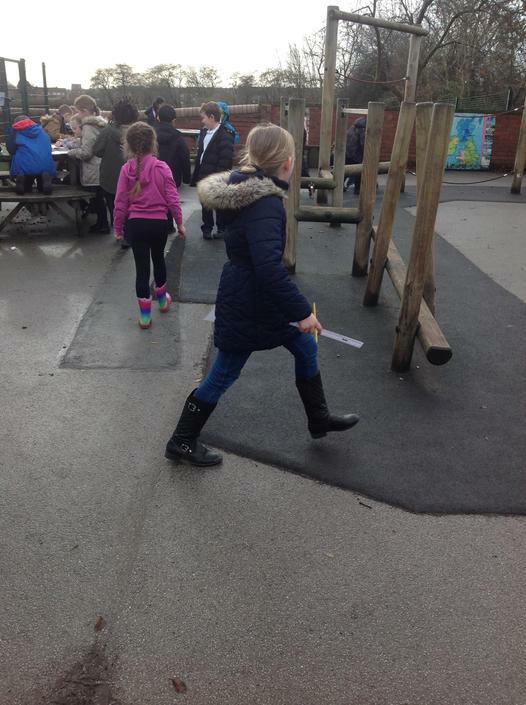 The children recently went out in to the school grounds to soak up the atmosphere and use their senses to brainstorm ideas which they would then use for their Spring Time poems. 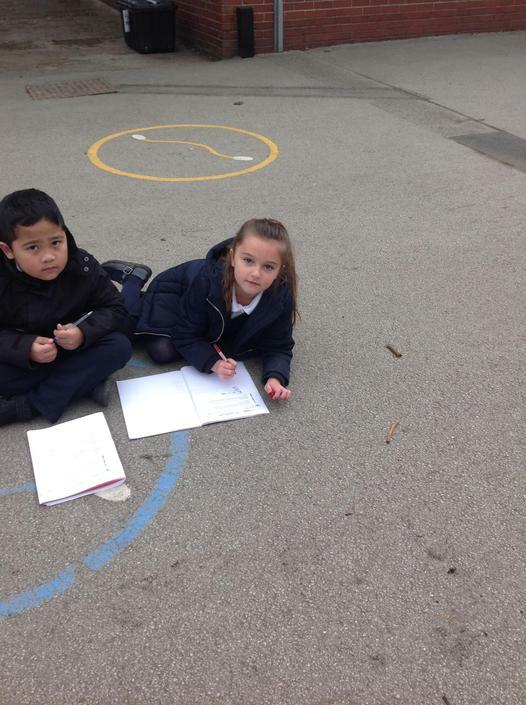 A lot of great and imaginative vocabulary was discussed and the children put these in to their written pieces. 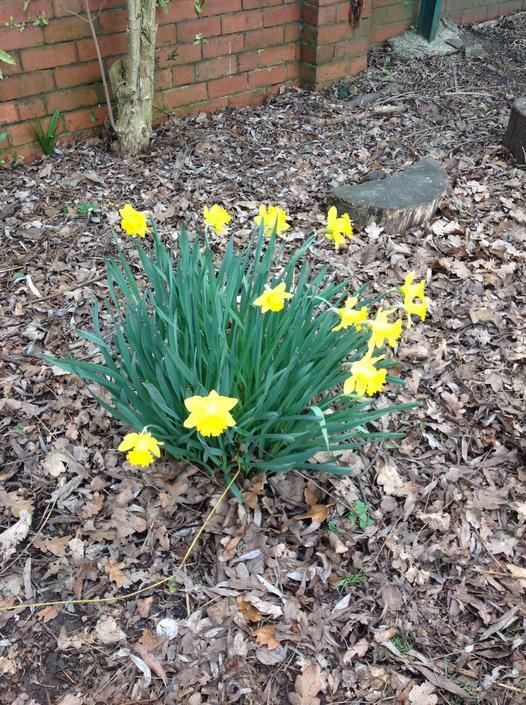 Here's a Riddle for you! 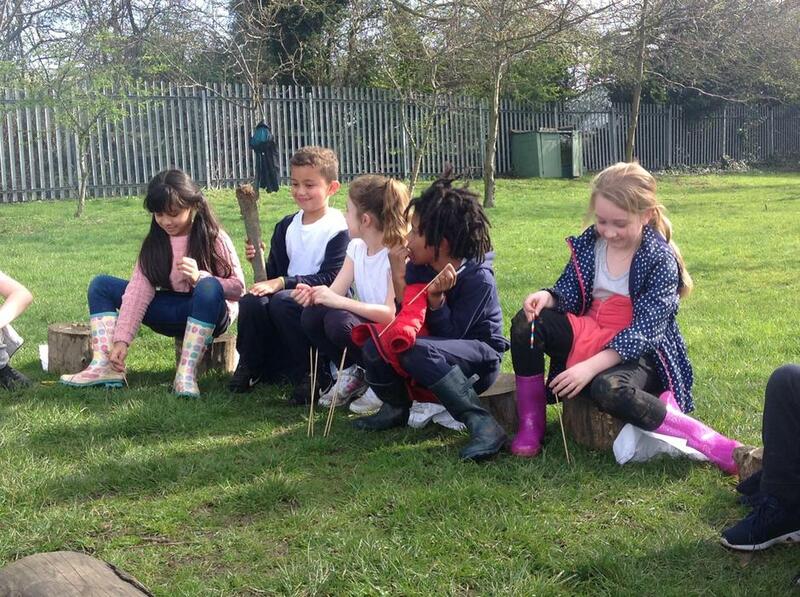 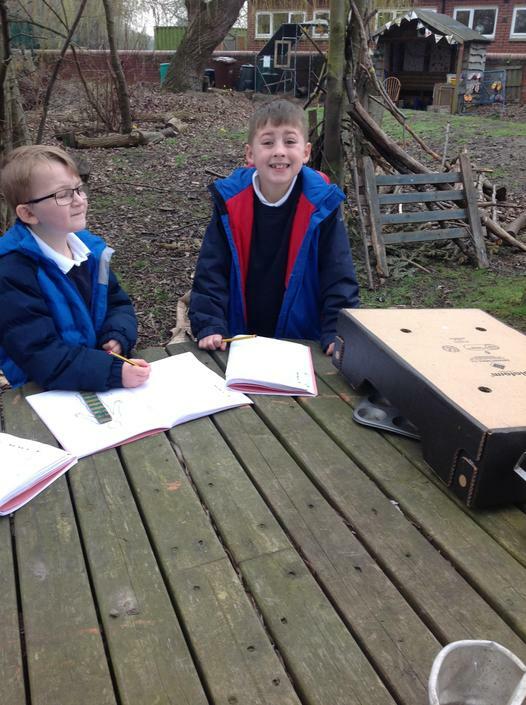 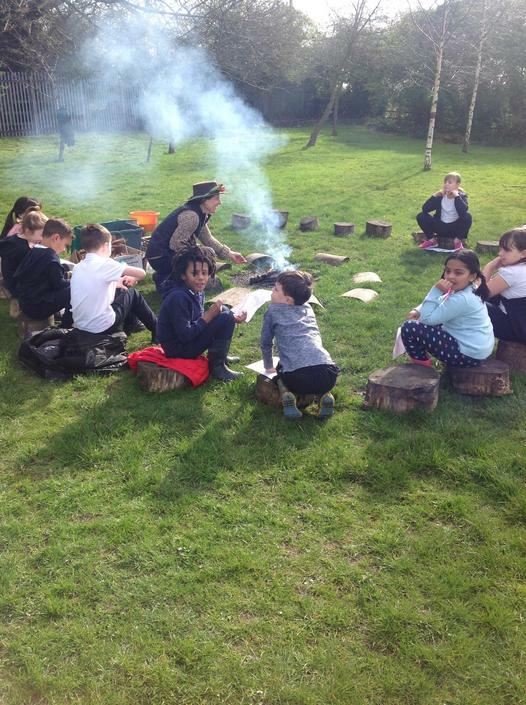 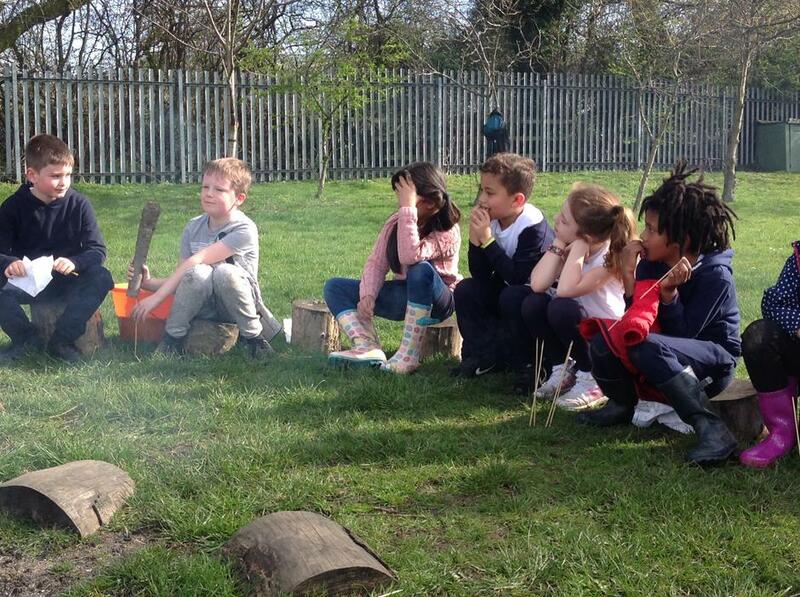 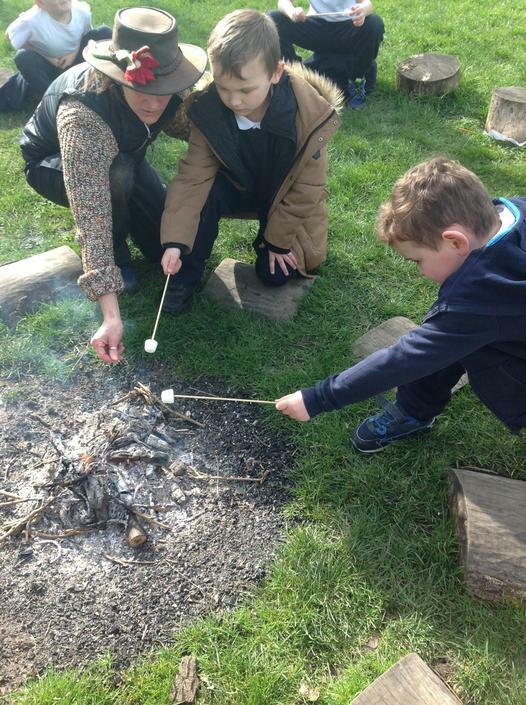 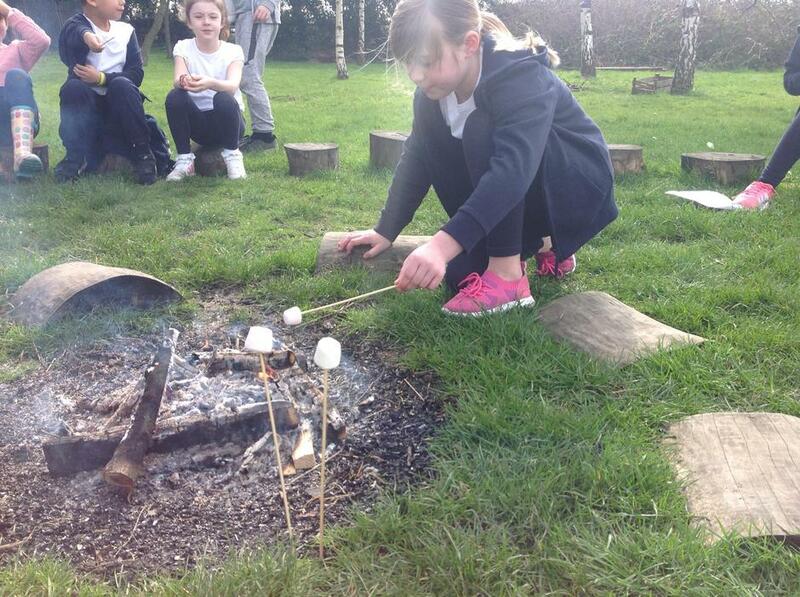 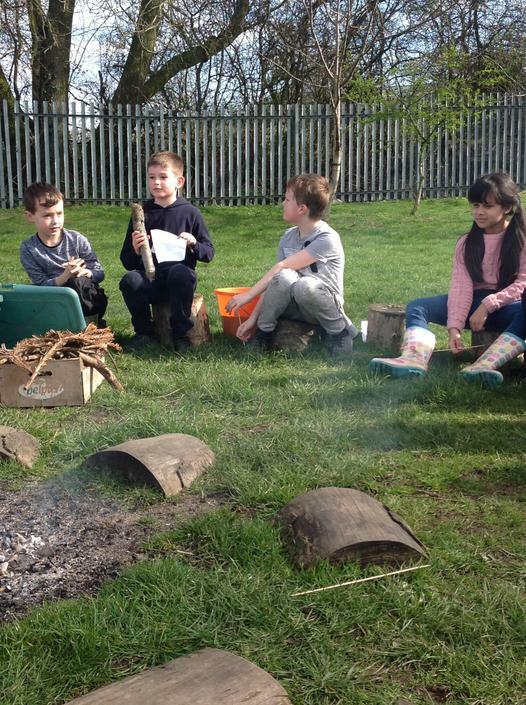 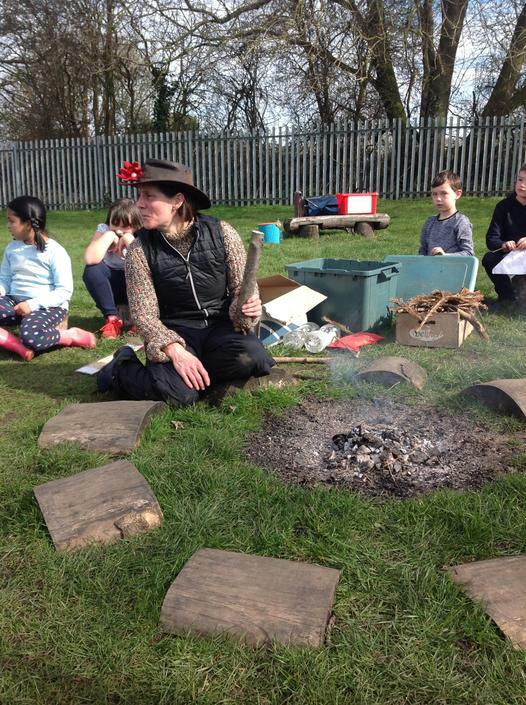 Class 3 enjoyed their time in the wildlife area. 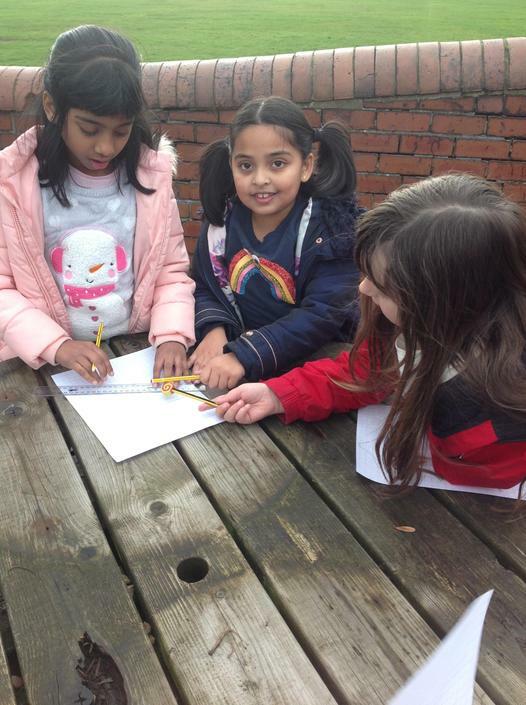 They used this time to brainstorm a range of ideas which they then applied to their own written Mini-beast riddle. 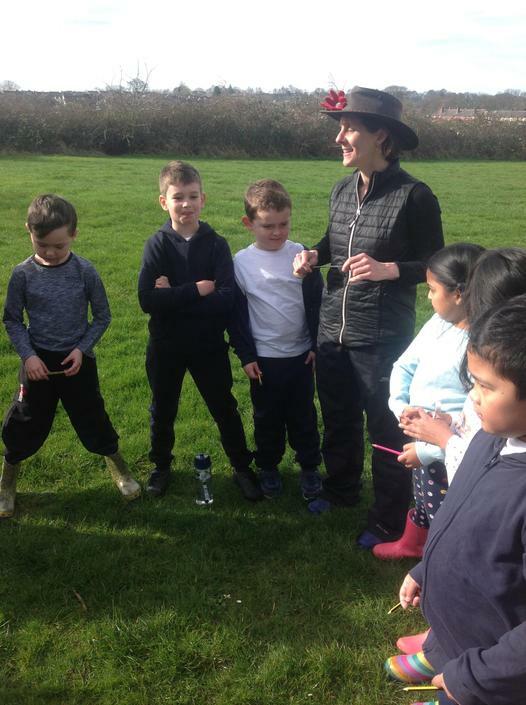 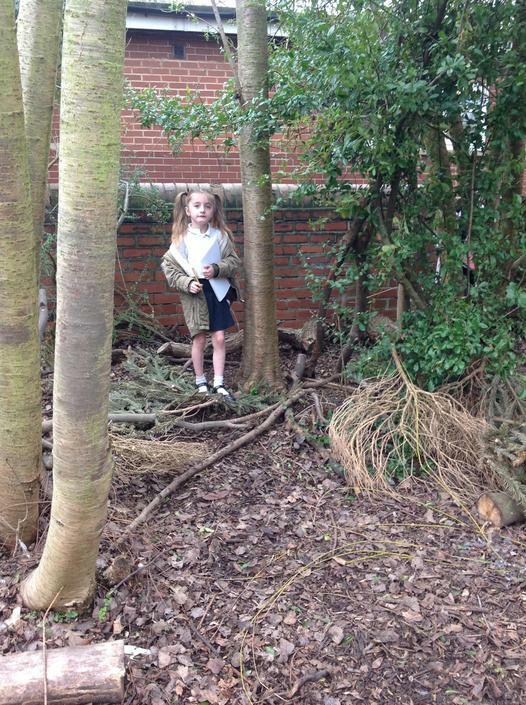 Class 3 explored the school grounds with Mrs Shaw to unearth a range of hidden rocks and treats. 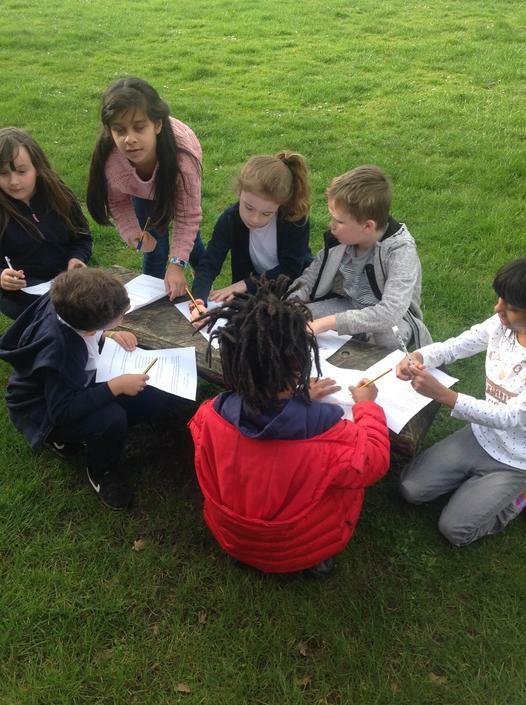 The children also consolidated their knowledge of rocks during the discussion by using the classification key to determine the rock names.